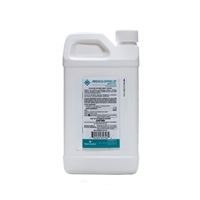 Our termite control options include Taurus SC (suspension concentrate) and Termidor SC, both of which are water-based termiticide/insecticide solutions containing 9.1 percent Fipronil as the active ingredient. These are both proven to eliminate termites in 90 days or less, can be used for either pre- or post-construction application and are lethal to termites by ingestion and/or contact with other tainted insects. As a green alternative, Bora-Care is used to treat wood rather than being pumped into the ground. It penetrates the wood and offers extended protection against re-infestation, backed by a 12-year warranty for damage repair. Winner of the 2006 Green Builder Magazine award for Best in Show, Bora-Care qualifies for LEED points and credits associated with various other Green Building Programs. It's also effective in eliminating certain wood-destroying beetles as well as wood rot and fungus. Timbor Professional Insecticide and Fungicide - 1.5 Lbs. 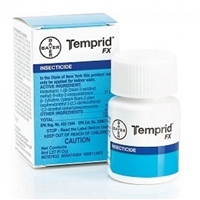 Prime Source's Imidacloprid 2F Termiticide/Insecticide - 27.5 oz. Jecta Injectable Borate Gel - 10 Oz.